No, that’s not a recent headline. Unfortunately. But as our region and the entire state confront serious drought conditions today, that sentence from an 1894 newspaper article demonstrates that rain or lack of same has been a historic issue for San Diego County. Below is a partial reproduction of the front page of the March 10, 1894 issue of the Poway Progress, a weekly that was published out of the Poway Valley from 1894 to 1897. 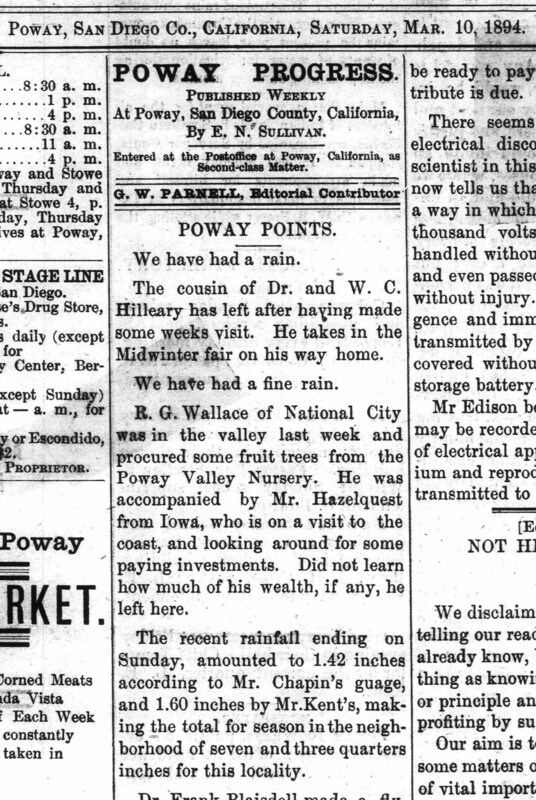 The March 10, 1894 issue’s “Poway Points” starts with the sentence, “We have had a rain.” The writer then shifts topics in the next paragraph to some out-of-town visitors staying with a local family, the Hillearys. The Chapins and the Kents were pioneer settlers in the Poway Valley, involved in agriculture. Their strong interest in the rainfall, shared obviously by the editor and publisher of the Poway Progress, reflected the predominantly agricultural character of the valley at the time. 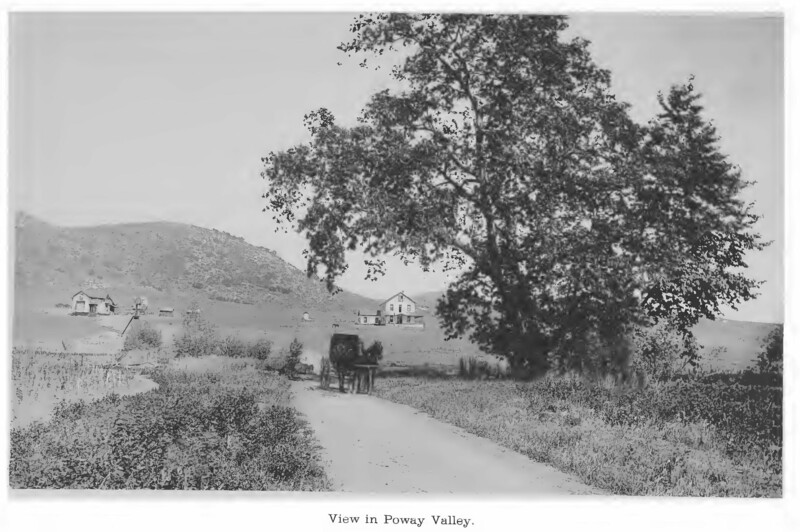 From the time that cattle ranching gave way to farming in the mid-1800s until 1954, Poway remained a sparsely populated rural community dependent on individual wells and rainfall. While the valley’s population swelled to 800 in 1887, by 1891 it had shrunk back to 250, according to newspaper accounts at the time. Drought played a big role. A local building boom went bust during the same period, followed by the onset of economic depression in the county and across the country. However, better economic times didn’t translate into population growth. The population of the Poway Valley in the 1930 census stood at just 367. Come hear the cannon roar and learn about the bloodiest battle of the Mexican-American War: the battle of San Pasqual. The San Pasqual Battlefield Volunteer Association stages Living History Days the first Sunday of every month-except for July, August and September. Join them Sunday, February 2 at San Pasqual Battlefield State Historic Park. Black powder demonstration and cannon fire at 11:30 a.m. and 1:30 p.m. Admission free. For more info visit: www.spbva.org . Picturesque San Diego is a book which offers a fascinating visual and narrative view of San Diego city and county in a bygone era. 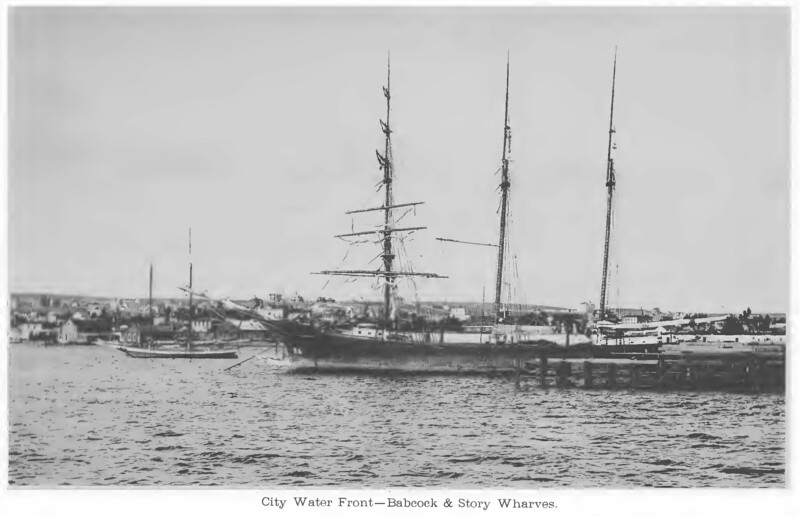 The book was published in 1887 by Douglas Gunn, who was editor and publisher of The San Diego Union from 1873 to 1886, and served as mayor of the city of San Diego from 1889 to 1891. 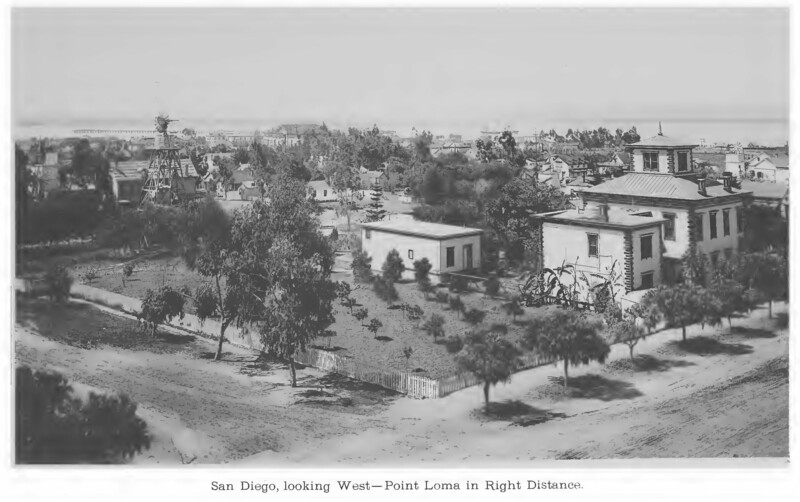 A strong promoter of, and investor in, the development of San Diego, Gunn decided in 1887 to create a book describing the city and county in both text and quality photographs. He hired a prominent Los Angeles-based photographer, Herve Friend, and from March to July they traveled around San Diego County, covering an estimated 1.500 miles according to Gunn in his introductory note. The book was published in October 1887. It’s 98 pages with 72 photographs. San Diego County in 1887 was a place where the livestock literally outnumbered the humans. Gunn demonstrates that quite emphatically. In a section on county agricultural products, he gives the following breakdown of the livestock population for the whole county: “Horses, 8,755; Mules, 2,552; Horned Cattle, 33,548; Sheep, 202,548; Hogs, 22,815.” Add them all up and you get a total livestock population of 270,218. By contrast, the human population for San Diego County at that time stood at about 30,000. Yeah, that’s Poway in 1887. In the book Gunn describes Poway as a “rich agricultural valley” with a population of “about 800” and “one of the most flourishing settlements in the county.” Yet within a few years the onset of drought would drive out many residents, reducing the population down to 250. Gunn wasn’t around for that change, or for other circumstances that would belie some of his more boosterish claims. He invested a lot, emotionally and financially, in the city and the region, and that was arguably his undoing. We’ll return to Picturesque San Diego in future blog entries. It offers a lot of facts, impressions, and contradictions, especially in hindsight. If you’d like to see the book for yourself, go to https://archive.org , and search for it by title.